Throw pillows are such a quick decor pick-me-up. 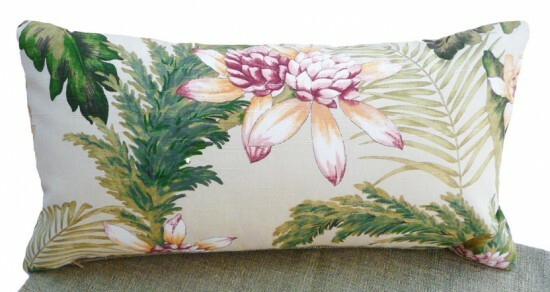 Wouldn’t it be great to win this gorgeous tropical throw pillow? Or pick your own favorite from over 130 different handmade pillows from Pillowthrowdecor? Value up to $40! Congratulations to Juicyjewelz4u , last week’s Pillow Giveaway 8 Pillow Winne r! Because I am doing some research on men’s pillows this week help me identify some ideal men’s pillows from my store and paste the link or describe it in this post here…visit PillowThrowDecor on icraft or on Etsy. You may enter three different pillows for 3 separate entries. I’m well into designing my Fall line and I’ll be posting some MORE new handmade throw pillows in the store this week so check back frequently to see the updates! I love your mens line and am looking forward to your next collection! Yes… that has been a favourite. Thank you dear Lubaska for being such a faithful follower… I so appreciate it! Hi, first things first, thanks for following me on blog frog, really appreciate it, am now also following you on blog frog. I am also now following you on your site, the reason I am following you is not only because I would love to win your competition, but also because I think you have a very unique and interesting site. Being a male, I think your animal print, and in particular the tiger print pillow caught my eye immediately, seen here: http://www.etsy.com/listing/20104077/3-pc-bengal-tiger-faux-fur-bedroom, but I fount it lower down on your home page earlier. I think any animal print items gives some extra character to a room, or even an outfit. Lovely site you have, thanks again for following me, and hope to see you visit often. I think this is a great manly pillow. This one would also be great for a man. This is also a good one for guys. I think that the colours are perfect for a guy. The sheen is nice but not too “girly”. It is nice to look at but can also be functional. I see it as the kind of pillow that a guy would have on his couch. Well, I’ve never seen a blog dedicated to pillows before! This is great! You make beautiful pillows. I found you at Spotlight Saturday, and I think you’d have fun at http://www.magicalmouseschoolhouse.com, where Disney IS school! Thank you for joining in lawna!